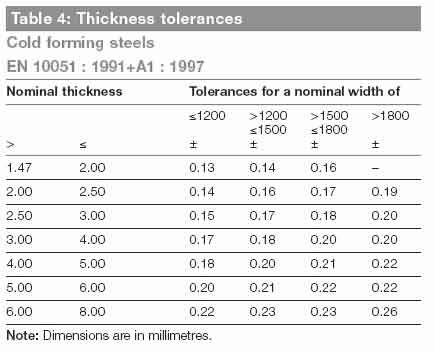 All the various steel standards around the world have different standard tolerances on width and thickness. 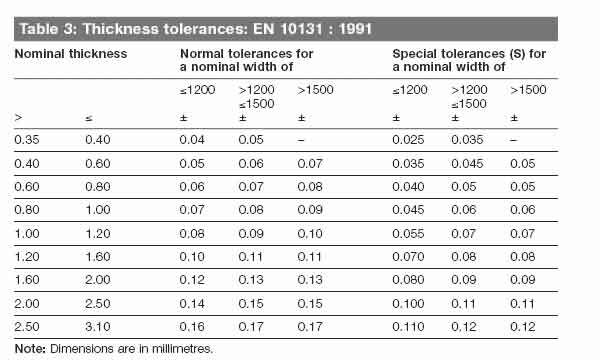 We are only illustrating the Euronorm tolerances. It is therefore important to check the relevant standards for any particular application. These will be readily provided by the steel supplier.